Efficiency: Julien Jeulin & Associés’ is responsive in its handling of the matters entrusted to it by its clients. Julien Jeulin & Associés’ objective is to always provide a concise, precise and clear answer to the questions asked of it, directly and pragmatically providing an opinion or a recommendation which takes into account not only the legal and tax aspects of the matters before it, but also their practical and economic implications. Proximity: The partners at Julien Jeulin & Associés’ are close to their clients, who know that they can always contact them without difficulty. 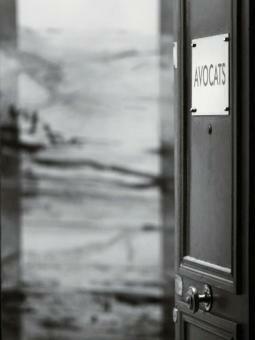 Julien Jeulin & Associés’ partners favour communication with their clients. They consider the matter together with their clients, in order to understand their needs and offer them solutions which are specifically tailored to them. Julien Jeulin & Associés’ partners personally manage and closely monitor the implementation of the solutions that they propose. Imagination: The ability to innovate and think outside the box, forget ready-made answers and predetermined solutions and, where necessary, shake off frameworks set by market norms and practices. Transparency: Clearly and directly raise the important subjects without delay in order to avoid any misunderstanding and time-wasting. Julien Jeulin & Associés’ partners apply this principle in particular to the calculation of the firm’s client fees. These cardinal values are put into practice daily by Julien Jeulin & Associés’ partners. They are the cornerstones of an approach which enables Julien Jeulin & Associés to advise its clients and assist them in relation to the most common legal and tax aspects of their business, but also to address and explore new areas with them.